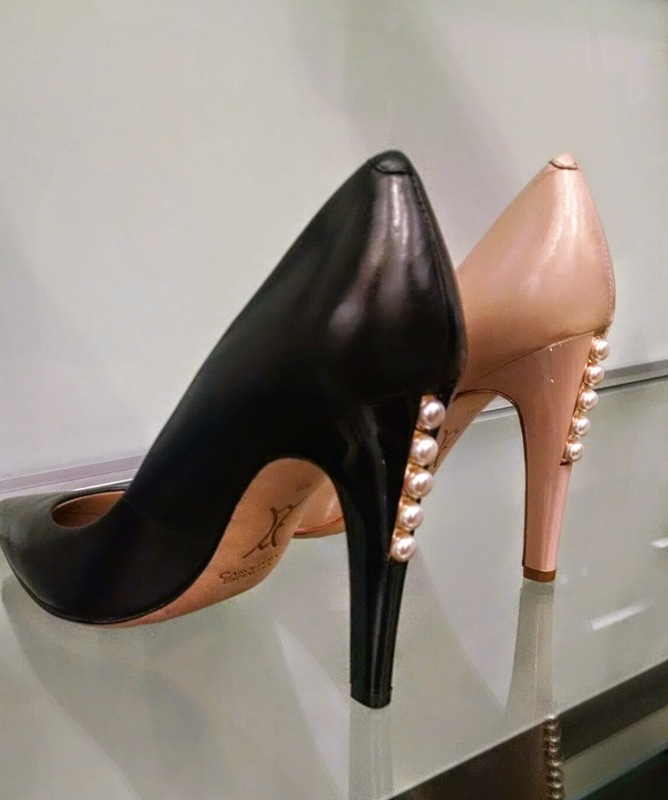 The line of pearls down the heel of this "Arabia" pump makes it look professional without looking too practical (because I have an aversion to most practical shoes, but I realize the importance of owning a classic pump). A cute skimmer is another must— especially if you live, work or play in a city like New York. 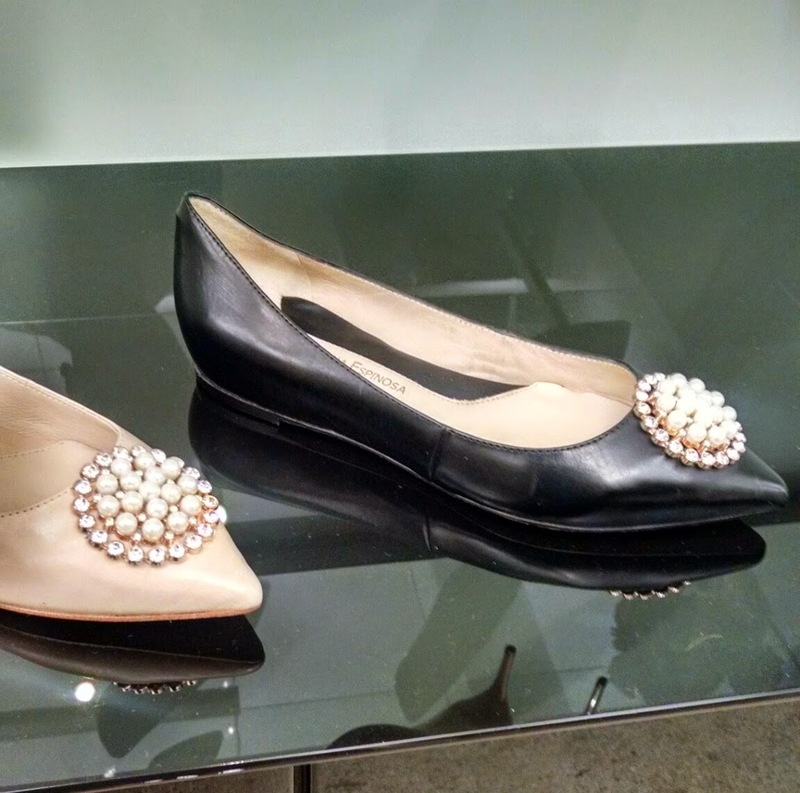 The jeweled pearl accent on this flat reminds me of a vintage brooch. I'd love these with some camo or leopard print skinnies for a little edge. I'm a huge fan of snakeskin shoes. And florals. 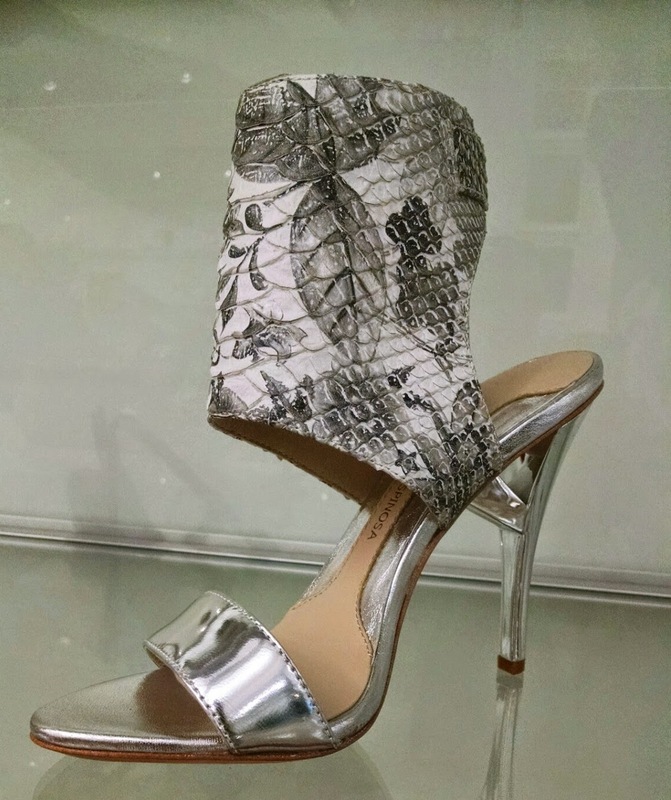 This "Celie" sandal combines the two and adds an architectural bridge detail at the heel. The metallic slilver and monochromatic color palette make it incredibly versatile too. 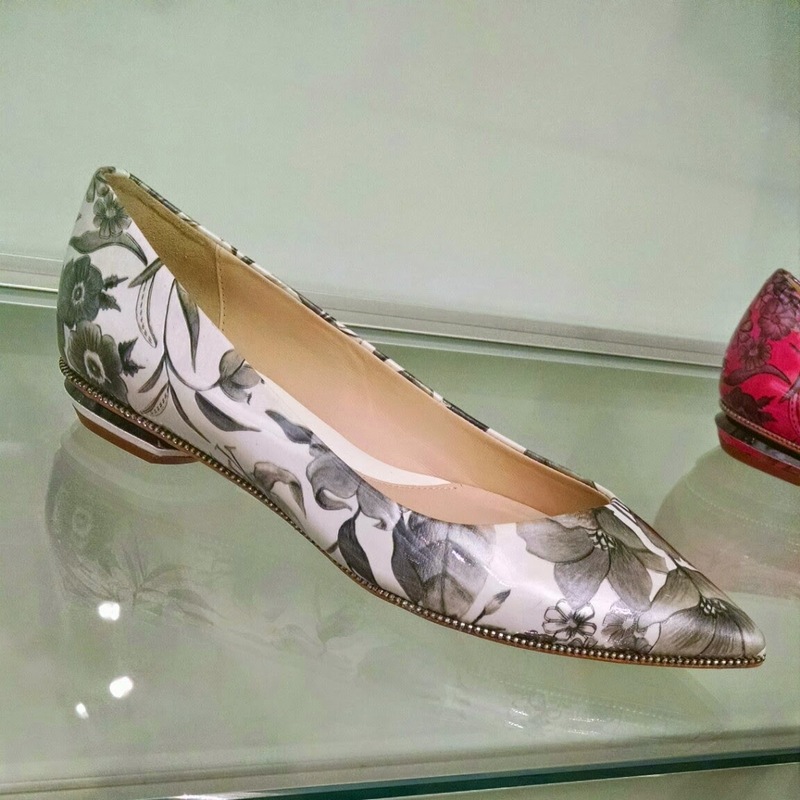 Another take on monochrome, this "Sandra" pointed flat has a subtle zipper accent. I don't usually like zipper embellishments, but this one manages not to look cheesy. I said it on IG, and I'll say it again... my allergies prevent me from really enjoying flowers in real life. However, I do appreciate them on a shoe, especially in bright, pretty colors. 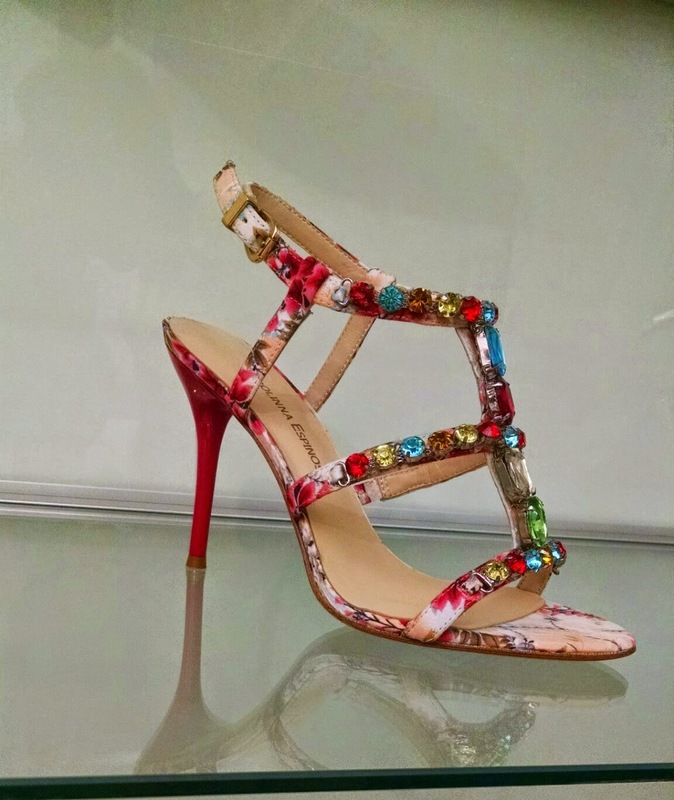 I'm also big on baubles, so the jewels on this "pepper" sandal drive it right up my alley. These and the rest of the styles in the collection will be available in February 2015 at price points between $195 and $275. Stay tuned for drink pairings! Do you have a favorite among these? Let us know in the comments!